Take your car in for the airbag recall if it applies to you! 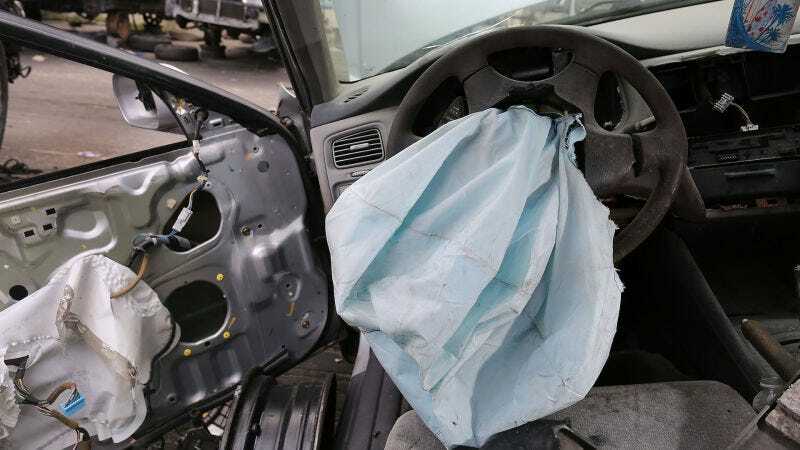 Takata started 2018 by issuing a recall for another 3.3 million airbag inflators, while automakers are literally going door-to-door telling drivers to get their car fixed if it needs the fix. Meanwhile, another person has died due to a defective airbag inflator, bringing the total death toll to 22. The unidentified driver died in Malaysia on New Year’s Day, when they crashed a 2004 Honda City, reports The Associated Press. In total, 19 auto manufacturers and truck makers have recalled up to 69 million inflators in the U.S. alone, according to the A.P., but it’s been a struggle to reach every impacted driver. That said, this most recent incident is another reminder to take your car in if it’s subject to the recall. As soon as possible.